1* When starting to look for a country residential property it s SO important to find a realtor that specializes in rural real estate. This is not the same type of transaction as when purchasing in town. 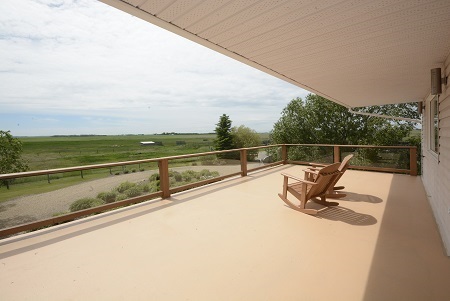 There are so many things to consider when moving to an acreage it is important to have a professional that is specialized in this type of real estate helping you through the process. Knowing the right questions to ask, where to find the answers is the best way to avoid unpleasant surprises in the future. considered on an appraisal. The extra value, therefore, must be covered by the Buyers in addition to the the down payment in order to secure financing thus facilitating a successful sale. 3* Weigh the PROS and CONS of city life vs country life and take a good hard look at the lifestyle you want to live. country and your kids can grow up with an enormous amount of freedom away the hustle and bustle and concerns that come with raising children in an urban environment. However, a con may be the additional drive time for extracurricular, work, and for school. If you love going to the lake or camping on the weekends, acreage life might not be for you. A lot of your free time on the weekends may be consumed by yard maintenance! small lawn tractor, providing that you purchase the proper implements. You will have loads of mowing and snow removal moving forward so it is important that you are prepared! What do you think? Is the #acreagelife for you?